Interactive map with points of historic interests. Walking map of El Camino de Santiago. 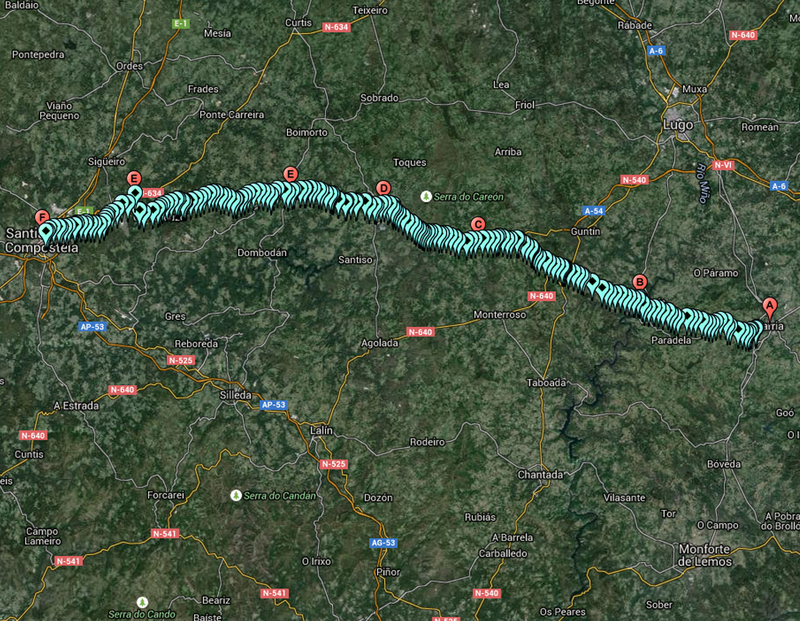 Click on the map to see interactive tracking with points of historic interests on our 20-day pilgrimage across El Camino de Santiago. 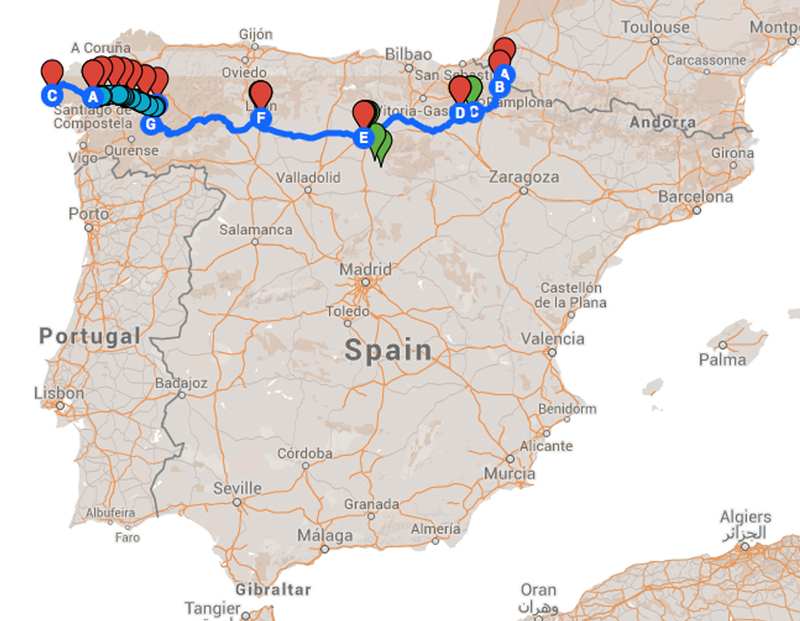 Click on the map to see our six-day pilgrimage portion of El Camino de Santiago.